All of the miniature quilts in this photo gallery were made by members of the online quilting community, and many were designed and stitched for swaps among our Quilting Forum members. 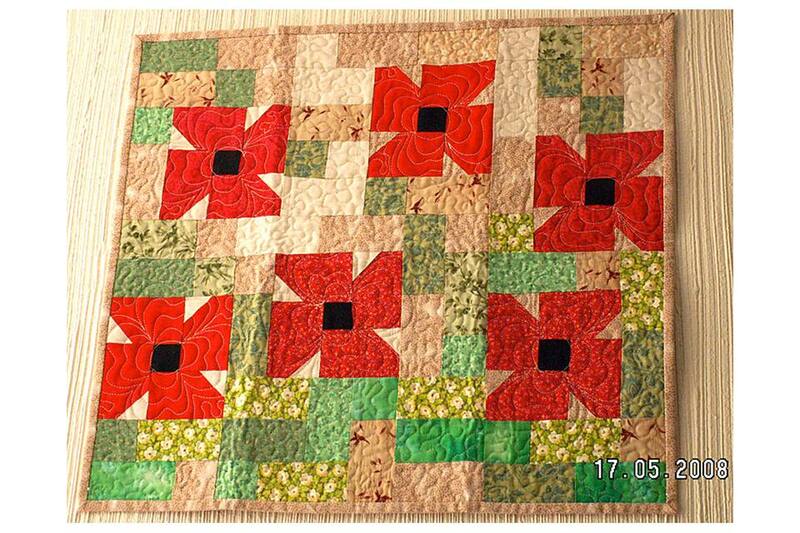 Browse the gallery the next time you need inspiration for a miniature quilting project. Small House Wallhanging. © Elaine O. My sister made this quilt for a book we did many years ago. Called Mother's Fantasy Windows, it's an Attic Windows quilt with a twist. Instead of like blocks sewn side by side, the quilt has multi-unit blocks in three different configurations. This mini quilt is time consuming to construct, but not difficult. All blocks are made using foundation piecing techniques.